The best thing about board games is that you can play them almost anywhere, including in the bustling city of Bangkok. Here is where you can find the best board game cafés in the city. The city center of Bangkok is a watering hole for shopaholics and those who love a night out on the town. Thanks to Boarding Time Board Game Cafe, however, it is also a place for game lovers to come together and take to their favorite game; there are hundreds from which to choose. Gamers can enjoy any one of these titles for ฿150 a day or ฿50 an hour. The café features a menu that will keep visitors from getting hungry, and it sits just a stone’s throw away from the BTS Skytrain. Boarding Time Board Game Cafe is also open until midnight, so players can take their time and finish that game of Scythe that is taking so long. The board game café is open Monday through Sunday beginning at 2 p.m.
Game Over Lounge has the best of both worlds. The venue, located in the trendy area of Thonglor, acts as both a bar and gaming hub, with a rare combination of alcoholic beverages and high-end PC games available. The bar recently underwent construction and doubled in size as well as improved its already cool space. The bar also has Jenga, foosball, beer pong, and amazing DJs on the weekends, for those of you who prefer dancing over gaming. Game Over Lounge is open until 2 a.m. every day but Monday. Kopi-O Board Game Cafe came to be when a board game collector decided to share his passion with the capital. The café has accumulated hundreds of games since it opened in 2014. In addition to a plethora of games, the café is also serving up Western and Thai favorites alongside a number of beverages for gamers to indulge in. Kopi-O Board Game Cafe is open from noon to 10 p.m. from Tuesday through Sunday and noon to 6 p.m. on Monday and is conveniently located right off the BTS Skytrain station Phrom Phong, making it easy for visitors to access. Ninive Game Store sits right off the BTS Skytrain station Phra Khanong. Visitors might almost miss it, as it is tucked away off the busy Sukhumvit Road. The café is a great spot to spend an evening. Visitors can select and enjoy the many board games, indulge in their favorite pizza, or have a glass of wine while fellow gamers take to favorites such as Cards Against Humanity. Ninive Game Store is open Tuesday through Sunday from 3 p.m. to 12:30 a.m. It is closed on Mondays. The Hobbyist Cafe is a minimalist café found near the BTS Skytrain station Saphan Taksin. The wooden seating in addition to the quaint floor cushions makes it a perfect place to come and spend the day in the bustling capital. The café prides itself on being a destination in the city where visitors can simply hang out, and it exudes a laid-back vibe and features plenty of games to keep guests busy. Hobbyist Cafe is open Monday through Friday from 8 a.m. to 10 p.m. and on Saturday from 10 a.m. to 10 p.m. It is closed on Sundays. 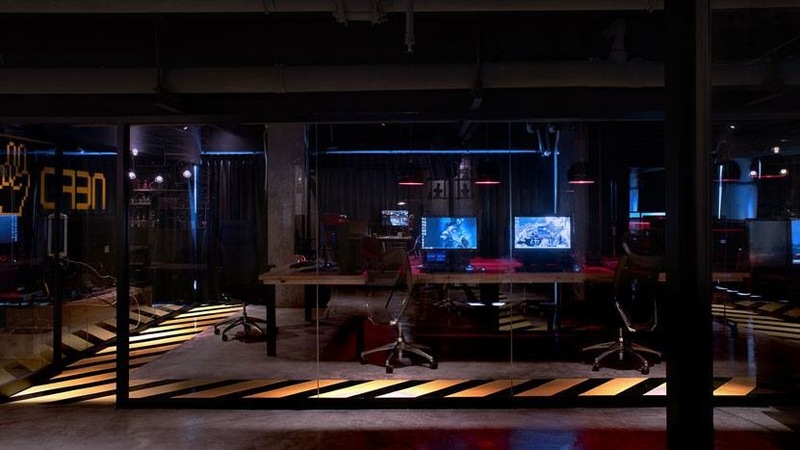 As its name suggests, More Than a Game Café has an abundance of reasons as to why visitors in Bangkok should make a pit stop at this unique gaming café and eatery. With three locations around Bangkok, guests are sure to find at least one that suits them. Each of the three outlets has a list of all the games they have posted online so that visitors can check out the gaming selection before deciding which one to frequent. In addition to playing board games, guests can also purchase or rent a number of titles from one of the three cafés. More Than a Game Café also offers a delicious menu consisting of classic Thai favorites, desserts, Western dishes, drinks, and more.